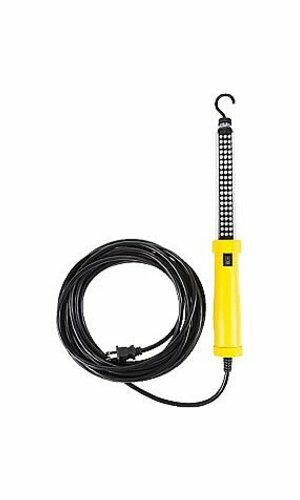 Bayco SL-2125 Corded LED Work Light with Magnetic Hook for Hand-Free Lighting - 25 Foot Cord features bright LED's with 35,000-hour life, magnets in its body and top as well as a hook for hands-free lighting. This work light is impact, moisture and chemical resistant, and features a heavy-duty rocker switch. The length of the actual work light is 14.3 inches and the length of the cord is 25 feet. Bayco is the established leader in next generation task lighting systems incorporating innovative technology for all types of lighting applications. Our dedicated research and development teams continually seek out innovative technical solutions for demanding professional and non-professional lighting applications.